It’s MLB Jim but not as we know it, not as we know it, not as we know it Jim. Welcome to Tacky 80s Reference Week. Just kidding. If it really was Tacky 80s Reference Week I would be talking about the NBL. Ouch. That was just plain nasty. Maybe I would feel different if the Brisbane Bullets were still around, but I don’t think so. Before I talk about the future of Baseball in Australia it behoves me to talk about its past (albeit briefly) with credit solely given to the ABL site. Baseball has been played in some shape or form since the gold rush in Ballarat in the 1850s but the first Baseball club competition didn’t arise until ex-pat Americans formed the Union Baseball Club in 1881, the Sydney Baseball Club in 1882 and the NSW Baseball Association in 1885 (a competition consisting solely of the existing 2 Baseball clubs funnily enough). The game in NSW makes riveting reading (I use that term advisedly) with periods of obscurity (where Baseball wasn’t played at all) contrasted with periods of competing competitions. The Australian Baseball Council came along in 1913 but like the history of the game in NSW, the National body had many years of dormancy prior to the emergence of the Claxton Shield in 1934. The Claxton Shield (an interstate Baseball competition) is really the bedrock of competitive Baseball in Australia. Played 73 times since 1934, Victoria (22), South Australia (15), Western Australia (15), NSW (13), QLD (7) and ACT (1) have been the champions so far. While all of this was going on in Australia, many Australians were travelling over to the United States to make a living playing Baseball. In fact Australia has produced 31 players who have played Major League Baseball in the United States over the years and while some have had brief careers in the Big Show others like Graeme Lloyd, Grant Balfour and David Nilsson have made a big impact. Not many would know this, but Australia’s first Major League Baseball player, Joe Quinn actually played in the Big Leagues from 1884 till 1901. Amazing! Australia Post, give that man a stamp. The Australia Baseball League started in in 1989 and initially ran for 10 seasons before collapsing due to financial difficulties. After some interim arrangements, the Claxton Shield recommenced as the premier national competition, however, in 2010 the ABL relaunched and is currently playing its 5th season. The ABL (which is a joint venture between the Australian Baseball Federation and Major League Baseball) now comprises six teams (Adelaide Bite, Brisbane Bandits, Canberra Cavalry, Melbourne Aces, Perth Heat and Sydney Blue Sox (which incidentally has the angriest sock I’ve ever seen as its mascot)). What are the major issues facing this latest figurehead of Baseball in Australia? Pretty simple really. Culturally it just isn’t an Australian Sport. Like the NBL and A-League it is not (and probably never will be) the best competition of its kind in the World. That honour would obviously go to Major League Baseball in North America. Consequently, the ABL will probably never have elite playing rosters. It suffers from low attendance, no free to air or paid television coverage and very little publicity of any kind. It ranks behind most of the other national competitions in Australia. So what must the ABL do to rule the Universe? Getting any of these across the line would be a start. This is a crazy idea, but hear me out. It may seem like suicide to move the Baseball season to winter in Australia. For starters, it is a summer sport and at the moment it is only really competing against Cricket, Soccer and Basketball (2 of which changed their seasons in recent years to avoid competing with the winter Football codes). Competing against the Football codes would be difficult. Here is the upside. At the moment the ABL season is squeezed between late October and early February in a 3 month season which conveniently fits outside of the Northern Hemisphere Baseball season. Consequently, it is difficult for the ABL to recruit players of note. They are recuperating from a long season and most won’t play in their off season anyway. If they were to align seasons with the Northern Hemisphere then the ABL could become a minor league feeder system for the MLB. At the moment the ABL is a feeder system of sorts but it is more akin to North American Winter Ball. If the ABL was a genuine part of the minor league system (even if it was Class A or Rookie ball) then genuine prospects would be playing in the ABL. This would have the added bonus of incentivising MLB teams to strengthen ties with ABL clubs as well, which brings me to my next point. This alignment could be either as a minor league affiliate (if the seasons were aligned, as mentioned above) or it could take the shape of Major League Baseball clubs purchasing an ownership interest in the Australian Clubs ala Man City and Melbourne City in Football this year. This would have a number of immediate flow on effects including enhanced recruiting in both directions, extra funding, publicity and sponsorship opportunities for the Australian ballclubs and access to the administrative expertise behind the Major League Baseball clubs. Its a win-win. Spring Training games are a good start but they aren’t as good as the real thing. If the NFL can play in London and the NBA can play in China, then the MLB can bring regular season games to Sydney and Melbourne. There is nothing like seeing top class sport and watching the best in the game will draw crowds and extra publicity which will have a knock on effect for the local game especially if it is a regular event. This is a long shot. 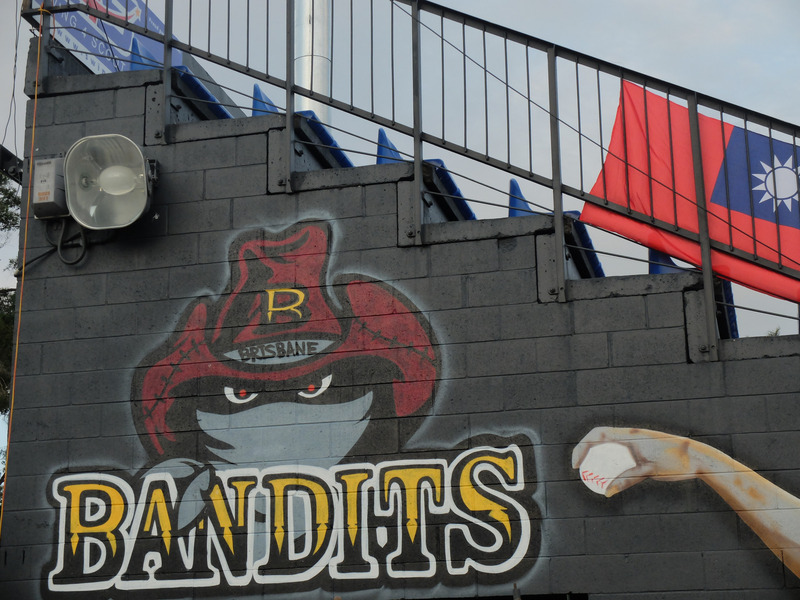 Maybe in a 100 years or if Russell Crowe decides he wants the Brisbane Bandits to play in the MLB. It is a bit Brewster’s Millions (if you are under 40 you might need to google that one) but why not aim high. The American market is saturated with sports teams and as this recent article from FiveThirtyEight shows maybe an overseas franchise is the next logical step for Major League Baseball as well. This is trite to say and somewhere in the ABL there is a media manager pulling out his or her hair trying to increase exposure for the local game. Increased player profiles for Australia’s MLB success stories would be a start. Increased player profiles for local players plying their trade in the ABL would be even better. Anything to get bums on seats. Free to air coverage would help. UFC is the gold standard for bringing an underground sport out into the mainstream. Surely there are some lessons from that story the ABL could leverage off. This is another one that the ABL is probably doing every day of the week but the game would benefit from an increase in funding. It is a chicken and egg argument but a wealthy benefactor (think the AFL in Western Sydney) would do wonders for Baseball in Australia. This is another long shot but why couldn’t Australia compete as a viable Spring Training location. We have the weather. Currently, Major League teams are divided between the warmer weather of Florida and Arizona for Spring Training. Why not Australia? This would need bucket loads of Government support but would be worth every single dollar. Major League teams are always lobbying to have their training facilities upgraded. Most of them are locked into long term contracts but if it was incentivised enough in the early years and a mixture of Major League and Japanese Club teams could be lured over, the benefit to the local game would be immense, let alone the local economy. Test Match Cricket. Australia v India was a classic match. The second innings chase looked impossible for India and then when Vijay and Kohli were approaching their centuries it looked like they might just do it and then Australia struck back and won the game from there. Classic, classic match. Nathan Lyon. Super performance. 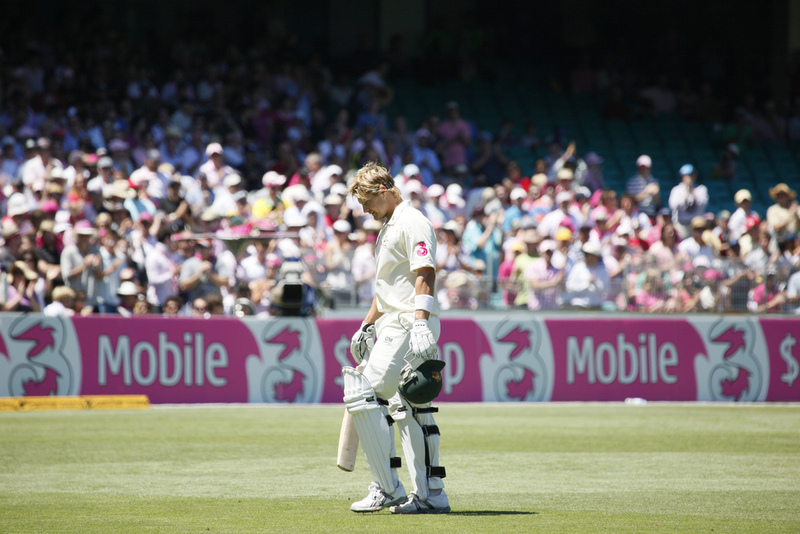 Carried Australia on his back. Virat Kohli. Determined, classy effort. Carried India to the brink of victory. Earning respect from the Australian crowd as well. They respect a fighter and Kohli has that in spades. I realised that the Indian Test team was fairly inexperienced (especially without M.S Dhoni), however, I didn’t realise just how inexperienced they were. Total Tests played by the Indian team in the First Test was 190. To give this some context, Australia’s combined number of Tests played for the same Test was 476 and Australia is still rebuilding. To give it further context, Sachin Tendulkar, VVS Laxman and Rahul Dravid played a whopping 498 Tests between them. Wow. Apart from the fact that India are playing away from home, that is a fairly steep hurdle to overcome. Jarryd Hayne is coming out of hibernation. Operation Conquer the NFL is on target. Stewart Downing (West Ham) for Mile Jedinak (Crystal Palace) – Downing has continued his purple patch of form. I had him earlier in the season but had to sell him when he became an injury risk. Jedinak is a defensive midfielder who takes penalties so this could be an upgrade. See how we go. Forster (Southampton), Bertrand (Southampton), Ivanovic (Chelsea), Baines (Everton), Downing (West Ham), Sigurdsson (Swansea), Sterling (Liverpool), Sanchez (Arsenal), Chadli (Spurs), Austin (QPR) and Diego Costa (Chelsea) with Jakupovic (Hull), Berahino (WBA), Duff (Burnley) and Wisdom (WBA) on the bench. This entry was tagged Australia, Baseball, Cricket, England, EPL, Football, General Sports, MLB, New Zealand, Soccer, United States. Bookmark the permalink.